President Donald Trump said Monday the U.S. has designated Iran’s Revolutionary Guard a “foreign terrorist organization” as part of an effort to increase international pressure on the country. It’s an unprecedented move, because the U.S. has never before used the designation for an entire foreign government entity. Trump said in a statement that the move “recognizes the reality” that Iran is a state-sponsored supporter of terrorism and that the Guard is an active participant. “This designation is a direct response to an outlaw regime and should surprise no one,” Pompeo said Monday. He has made clear in public comments that pressure on Tehran will only increase until it changes its behaviour. 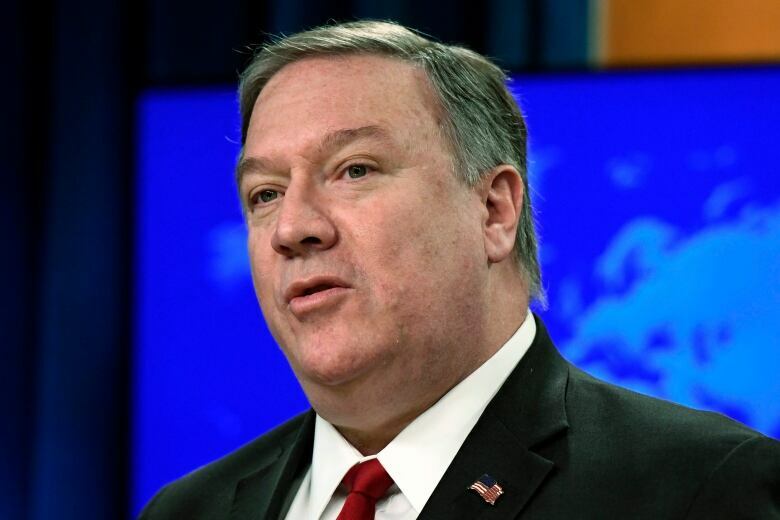 Pompeo repeated the allegation made last week by his special representative for Iran, Brian Hook, accusing Iran and its proxies of being responsible for the death of 608 U.S. troops in Iraq between 2003 and 2011. Hook had cited newly declassified Defense Department information for the claim. Portions of the Guard, notably its elite Quds Force, have been targeted previously by the United States. The Quds Force has also been listed as a terrorist entity by the Canadian government since 2012. Iran’s state-run TV said it considered the declaration illegal. “No other country has the legal right to designate as terrorist another country’s armed forces…. 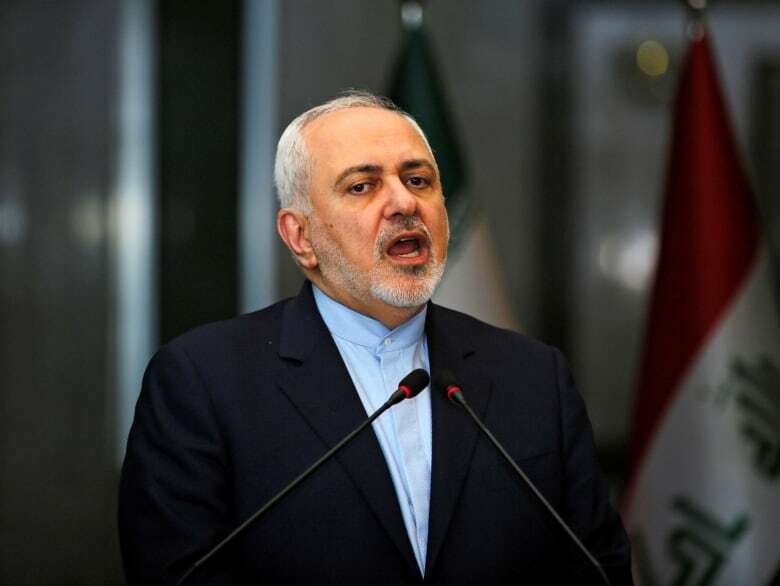 Iran’s influence in the Middle East and its success in fighting against Islamic State are reasons behind this designation,” state TV said, without quoting a specific official. It’s the latest move by the Trump administration to isolate Iran. Trump withdrew from the Obama administration’s landmark nuclear deal with Iran in May 2018 and, in the months that followed, re-imposed punishing sanctions including those targeting Iran’s oil, shipping and banking sectors. Although the Guard has broad control and influence over the Iranian economy, such penalties from the U.S. may have limited impact. The designation, however, could significantly complicate U.S. military and diplomatic work, notably in Iraq, where many Shia militias and Iraqi political parties have close ties to the Guard. And in Lebanon, where the Guard has close ties to Hezbollah, which is part of the Lebanese government. State Department counterterrorism co-ordinator Nathan Sales said it was impossible to answer hypothetical cases but that entities should “think long and hard” over whether it makes sense to communicate with the IRGC. In addition to those complications, there is concern that the designation may prompt Iran to retaliate against U.S. forces in the region. Aside from Iraq, where some 5,200 American troops are stationed, and Syria, where some U.S. 2,000 troops remain, the U.S. 5th Fleet, which operates in the Persian Gulf from its base in Bahrain, and the Al Udeid Air Base in Qatar, are potentially at risk. Pompeo said Monday that Iranian actors “ought to think more than twice about” targeting U.S. troops. Despite the risks, Iran hard-liners on Capitol Hill, such as Republican senators Ted Cruz (Texas) and Tom Cotton (Arkansas), and elsewhere have long advocated for the designation. They say it will send an important message to Iran as well as deal it a further blow after Trump pulled out of the 2015 nuclear deal and re-imposed economic sanctions. The State Department currently designates 60 groups, such as al-Qaeda and the Islamic State in Iraq and Syria (ISIS) and their various affiliates, Hezbollah and numerous militant Palestinian factions, as “foreign terrorist organizations.” But none of them is a state-run military. Once a designation is announced by the secretary of state in co-ordination with the Treasury secretary, Congress has seven days to review it. If there are no objections, it then will take effect.